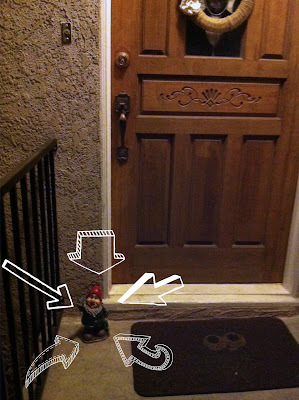 Yep folks, that is MY GNOME back on my front porch!!! I looked around for a note...I really did. There wasn't one. I am just going to assume he went on an adventure. Or perhaps the punk teenager's parents saw him and forced them to return him. Either way, I am so freaking happy! Yaaayyyyyyy!!!!! THat makes me way more happy than it should.